WATCH: Should George Smith Have Seen Red For This Hit Over The Weekend? 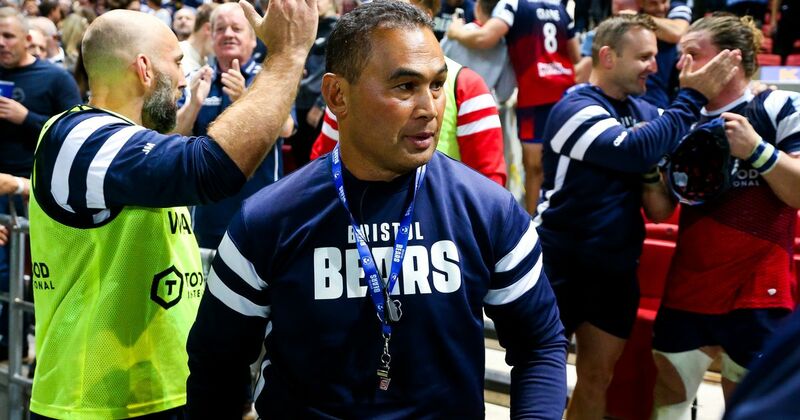 The Bristol Bears suffered their first defeat of the season as they were defeated 44-23 by Saracens, with the scoreline perhaps flattering the current Premiership champions in the end. Pat Lam’s side started the game well, leading by five points at the break thanks to two tries from Alapati Leiua that cancelled out an early score from Saracens’ Matt Gallagher. But things took a controversial twist in the 48th minute with the two teams level at 18-18. Former Wallabies flanker George Smith was shown a straight red for an apparent ‘no-arms’ shoulder hit on openside Jackson Wray. After the game Bristol head coach Pat Lam questioned the decision to show Smith a red card. “If you put it into context of other decisions, I don’t think it’s [George Smith’s red card] any more than a yellow card.” Lam said. The debate has raged online since, with arguments for both sides. Was it a red card or should Smith and Bristol feel hard done by? Have a look for yourself below and let us know in the comments.